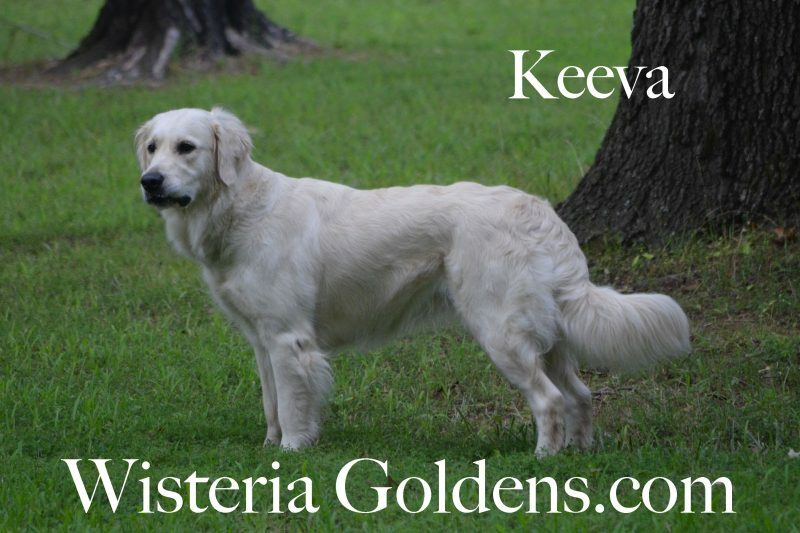 Keeva is owned by Heather and is an old soul. She is a nurturer and quietly lays her head on your lap for cuddles. 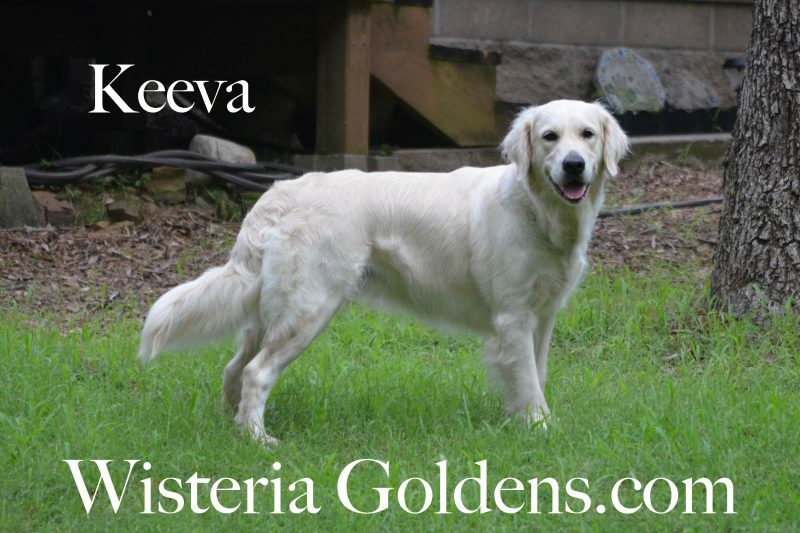 While she is a mellow, sweet girl, her favorite thing to do is play and run when she is outside. 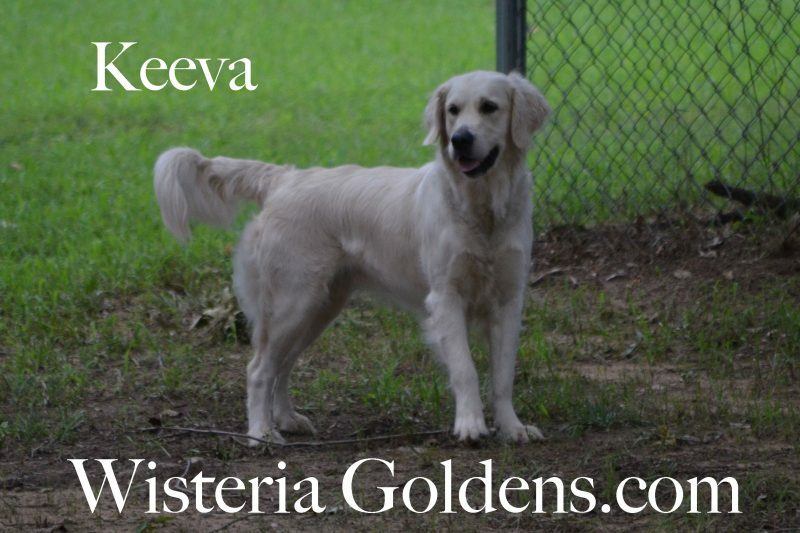 Keeva has achieved her AKC Canine Good Citizenship and is a Wisteria Golden puppy. 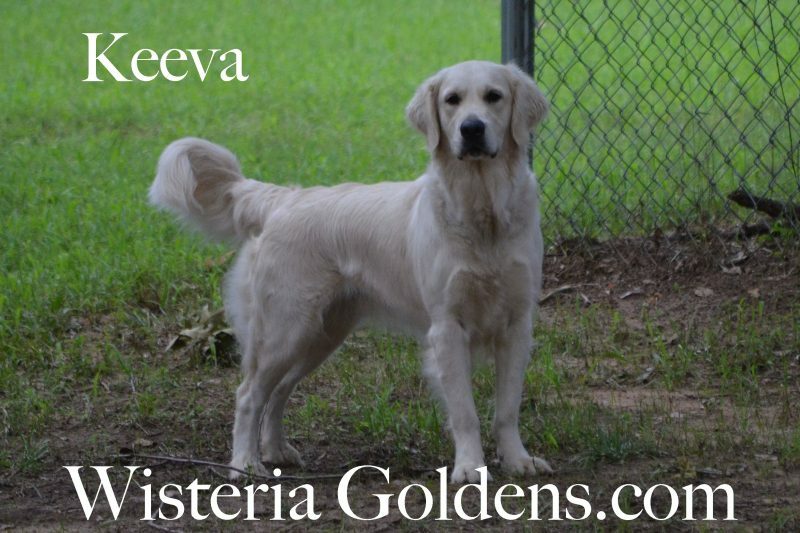 Her parents are Piper & Ego.